Each year, Chambers & Partners celebrates outstanding work done by attorneys both nationally and internationally. The 2014 edition of “Chambers Global Awards for Excellence” has been released and global business attorney Vinita Mehra has once again been recognized for her corporate/M+A abilities both as an “expert based abroad” for India matters and as a “foreign expert” serving as a resource for Indian businesses. 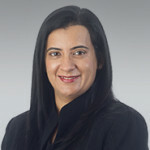 Vinita was one of only ten lawyers nationally selected for these honors and remains the only attorney between New York and Chicago to have earned this distinction. Chambers describes Vinita as creative during her representations and acknowledges her "ability to provide 'clear explanations and guidance.'" Dual-licensed to practice law in India and Ohio, Vinita is dedicated to serving clients that are ready to explore opportunities or grow their businesses through foreign direct investment. She has previously been recognized by Chambers Global as the only "expert" attorney in the Midwest for Indian business matters. Chambers & Partners is an independent company that awards rankings to practice areas and attorneys in Ohio, nationally and internationally. It is a rating service dedicated to evaluating the legal profession through the eyes of clients. The objective process follows three steps: submissions put forward by legal practices, interviews during the course of research, and Chambers’ own database resources. Only select attorneys and practice areas are ranked in bands from 1-6, with 1 being the best.